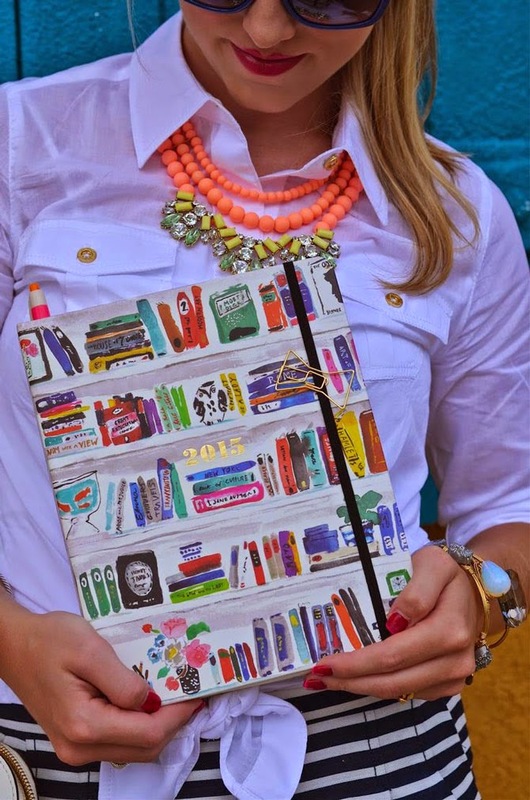 This DIY 'On the Go Organizer' (from Crazy Little Projects) is really great! The post has all the instructions for making your own. Damn I wish I could sew. The discovery of ladyendevagenhond's Instagram adds loads of colourful (and organised) inspiration to my day. She runs an online shop (currently closed) stocked with amazing items from Hema. I currently need as much fashion inspiration as I need planning inspiration and this post from A Preppy State of Mind has both covered. Lovely clothes and a Kate Spade planner all in one. I think I need to ask Santa Claus for one of these (I'm sure you'll agree). Happiness is Scrappy shared the loveliest free printables in her planner post. I really like these! The Blog Stylist is a resource blog full of tips and insight. Some aspects are paid for or linked to books, but in general there is loads to view and read through for free. It's a great one to add to your list for inspiration at any time of the month. *Quick Note: I must just mention 'My Weekly Planner' that I shared with you last month. I've really had some time to test it and can't recommend it enough. It has ample writing space and the paper quality is fantastic. To take a look - just click here. Happy October and remember to make this month matter!